I found a bullet cast from one of my older Mountain Molds that I bought used. It is a 180 gr GC design, with what appears to be a truncated cone nose, with a slight concave in the meplat. I'm thinking I want to recreate this mould, but I hear varying opinions on truncated cone noses in some hunting applications. Would you recommend going with a truncated cone flat nose design for hunting, but also for long range target work? My mould was for a 44 magnum, and I never got a chance to wring it out very well before life got difficult (again) for a while, and I had to sell a few guns, including the Redhawk I bought the mould for. Then I also sold that original mould. If not a truncated cone design, what would you suggest I look at instead? I'm not sure that it matters much. I've had good luck with TCs, but also with secants and tangents. For long range target work you might want to avoid a big meplat, but even that is not 100% predictable as so much varies from bullet to bullet and load to load. One of the goals of my S&W revolver project is to test many different bullet designs. I had been using a snub nose for bullet testing but a snub nose is hardly the definitive test for accuracy. 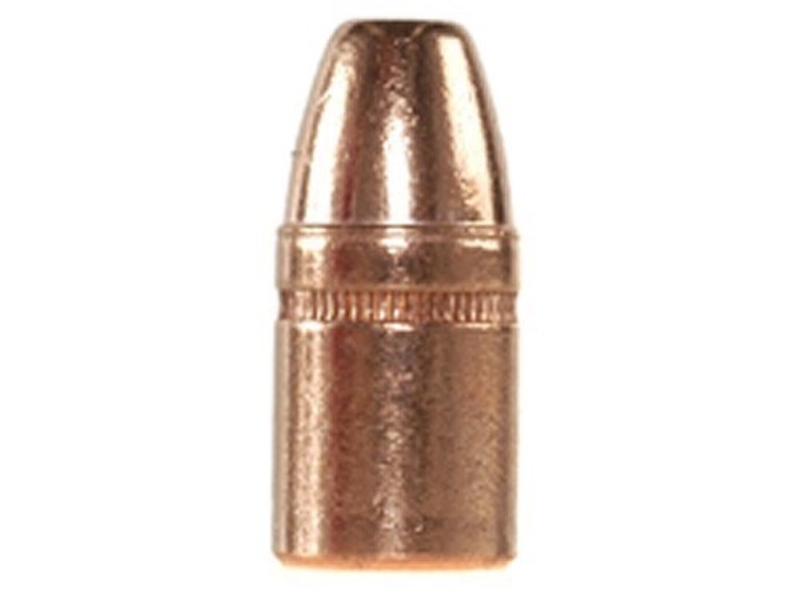 I went to your design program with my sole, surviving bullet from this mould and it appears it was a 285(ish) grain GC bullet with a secant nose profile. I always though it was a TC. It does have a slight concave in the nose, which I've never seen in a mould before. The nose is around 70%(ish). I think I'd probably like it better as a 300 gr. Does this combination sound viable to you Dan? Sounds reasonable to me, Bob. The stability of handgun loads is difficult to predict. Generally, bullets designed for longer ranges have smaller meplats. Take the silhouette bullets, for example.